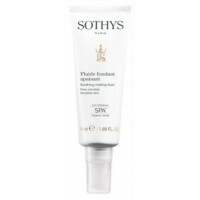 Quickly neutralise permanent or temporary sensations of discomfort of sensitive skin as well as limit their appearance. Fluid serum is ideal for quickly neutralising permanent or temporary sensations of discomfort, and limiting its further appearance. It’s basic ingredient - SPA™ Thermal water*: natural mineral spring water from protected environment regulates various skin’s physiological mechanisms, slows down the ageing of connective tissues and restores them, as well as forms a protective film on skin’s surface. The serum also contains the blue Ageratum leaf extract that improves skin's immune system, eliminates inflammations and irritations. And panthenol softens and prevents the skin from drying. Benefits: Acts like a « cosmetic plaster »* . After 15 days, the skin is less sensitive to aggression**. *85% satisfaction after 8 days /satisfaction index on 20 subjects after testing the Soothing SOS Serum twice daily for a period of 2 weeks. **90% satisfaction after 15 days/satisfaction index on 20 subjects after testing the Soothing SOS Serum twice daily for a period of 2 weeks. Main Actives: Blue ageratum leaf algae extract To soothe and limit the emission of inflammatory messengers at a cellular level. Brown algae extracts To soothe and limit the emission of inflammatory messengers at a cellular level. Spa™ Thermal Water To balance the skin’s tolerance threshold and help skin lastingly reduce its sensitivity. Key ingredients: Blue Ageratum Leaf Algae Extract, Brown Algae Extracts, Spa Thermal Water. The serum is paraben- and fragrance-free, without artificial colorants, hypoallergenic, dermatological and ophthalmological tested. Apply on a thoroughly cleansed face and neck skin or locally, on problematic areas, in the morning and/or evening. Can be used in addition to the usual cream when the skin is temporarily sensitised or experiencing a sensitivity/discomfort “peak”. The SOS Serum sooths and refreshes sensitive skin and is a great used after cleansing routine, It locks the moisture into the skin. 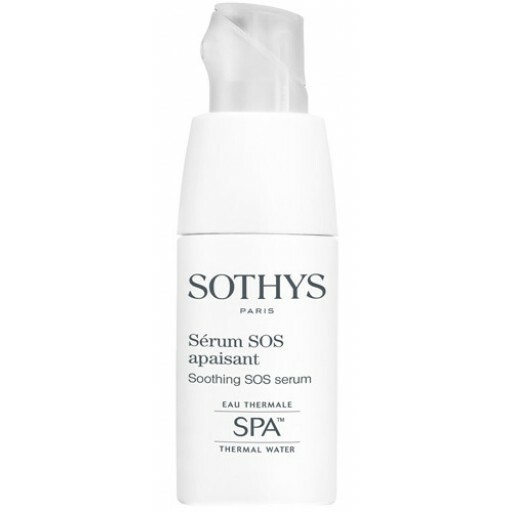 Sothys Soothing SOS Serum is one of the best products I have ever used. It instantly healed my irritated, red looking skin. This product is worth every cent for an instant result to over sensitized skin.